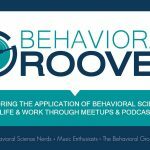 February 2017 – Behavior Matters! Today we will expand a bit more on the idea of “cognitive load”. Not only is cognitive load a valuable resource to utilize in graphic design; but it is also extremely valuable in communications, speaking engagements, presentation’s and an all-around useful tool for improving understanding. Cognitive load refers to the total amount of mental effort being used in working memory. Rationally, we would think that the more information that a person is given, the better informed they would be; therefore, they would make more sound decisions. However, this is not typically the case. Too much info and the brain can become overloaded and confused. Break it down to the essentials and things just might stick! In short, quite often: Less is More.